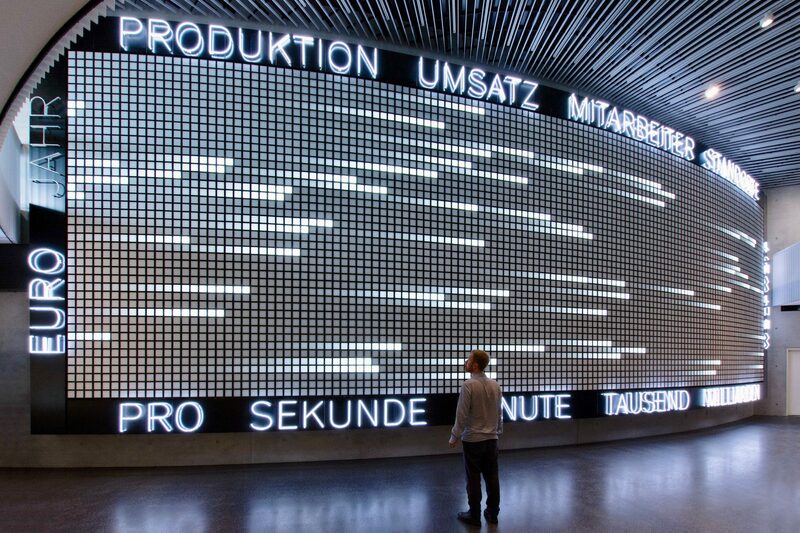 A large 17 x 5 m LED wall is the central element of the new corporate museum of filter manufacturer Mann+Hummel in Ludwigsburg, Germany. 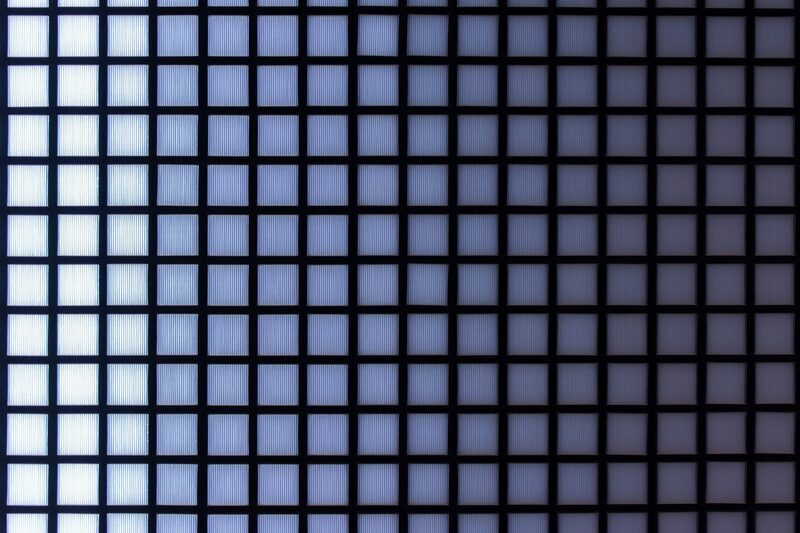 5,670 filter elements are mounted onto monochrome LED tiles. Accompanying the screen, an extensive audio system enhances the room with differentiated sound. 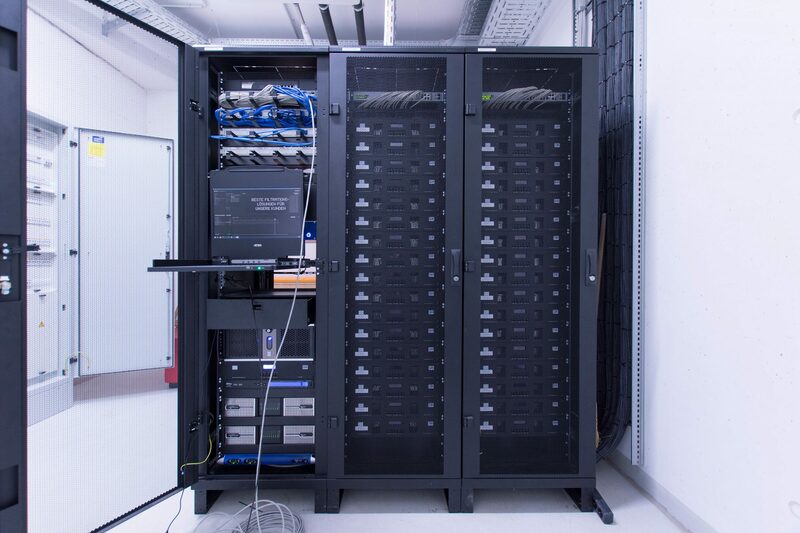 The subject of the audiovisual experience are information and visualisations about the company’s expertise, locations and statistics. 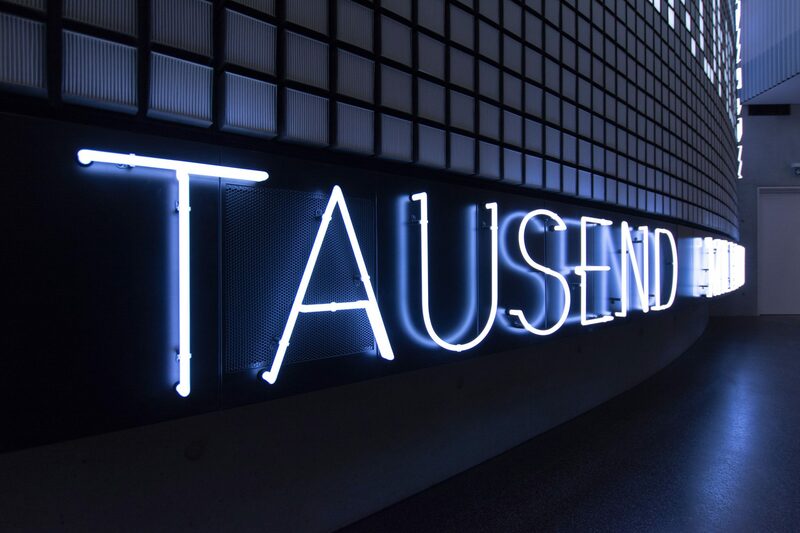 The context is provided by neon light words, which surround the LED area. 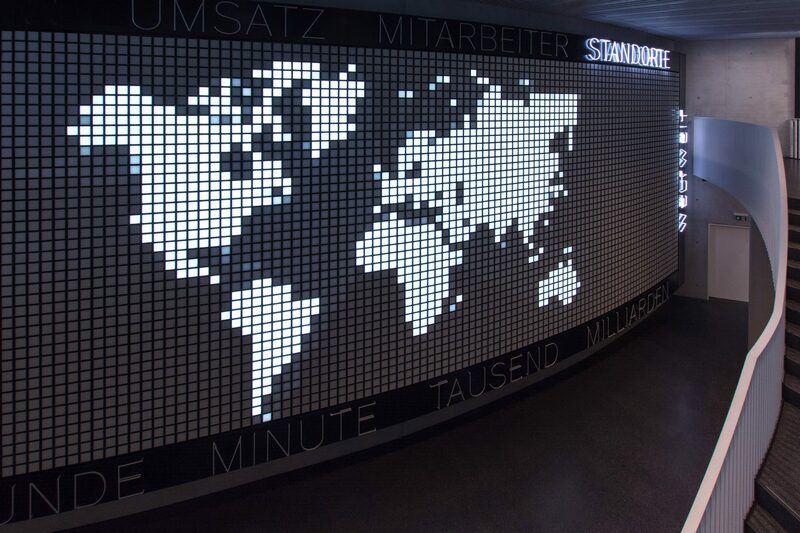 A custom control software was developed by Markus Lerner to facilitate the display of generative real-time animations, bar and line charts as well as a world map, which highlights the global locations of the company. 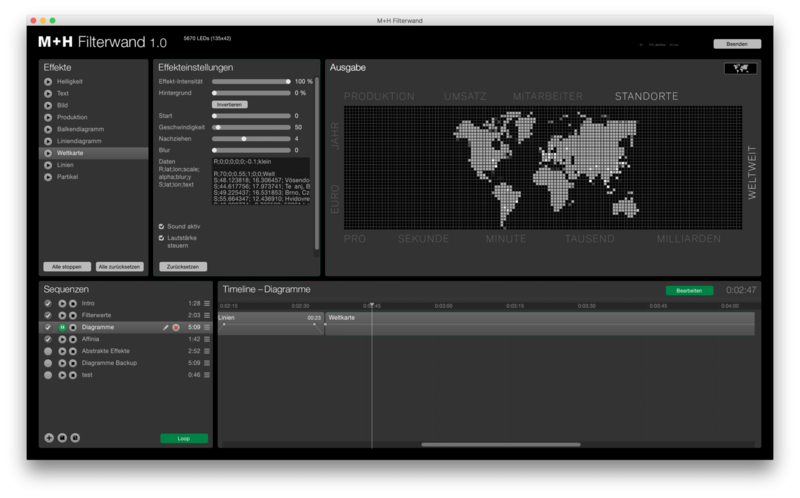 The application features an intuitive timeline editor for the design and arrangement of the content. Besides the DMX output for the LED display, the software also controls the sound and the neon lights. 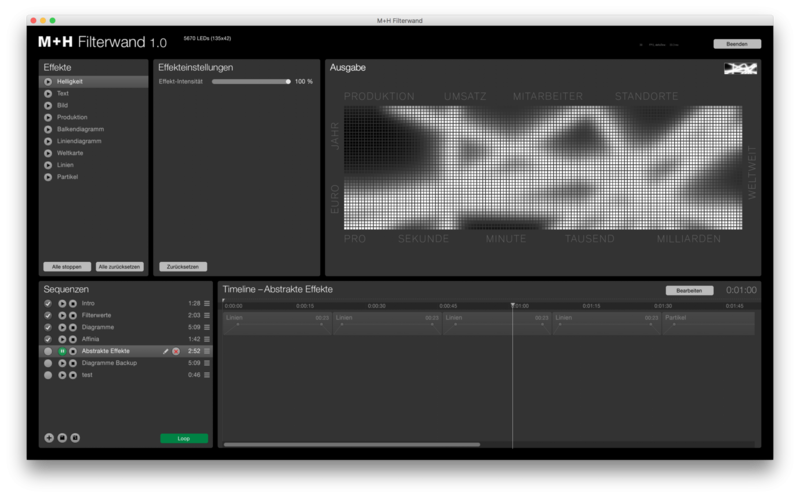 The animations were designed in collaboration with TheGreenEyl, Berlin. 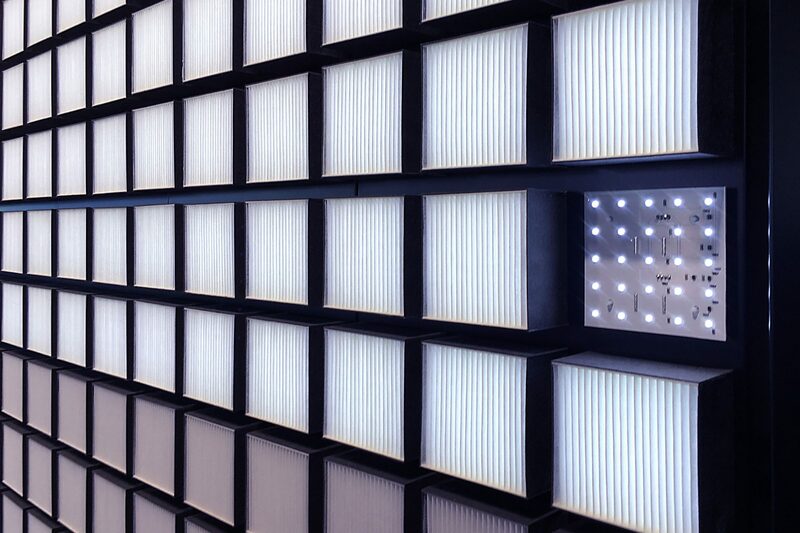 LED wall design: TheGreenEyl in collaboration with Holzer Kobler Architekturen. 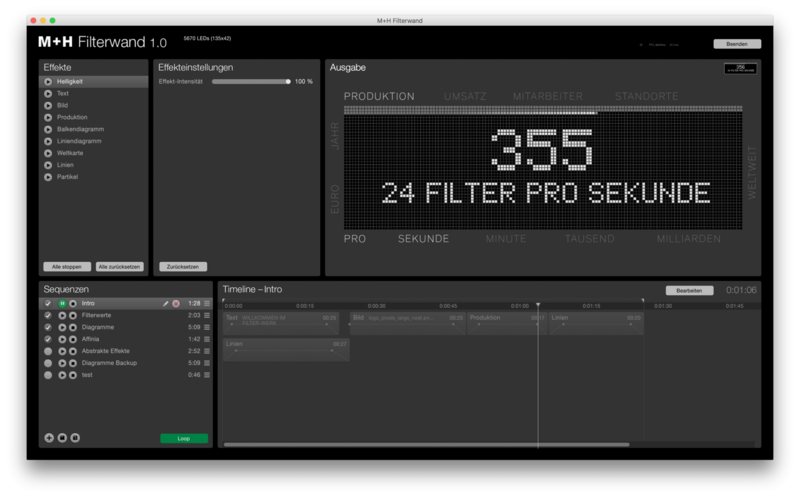 Audiovisual engineering: Stefan Helling. Sound design: Ben Lukas Boysen.